You can quickly schedule appointments for the procedures in a patient's treatment plan. 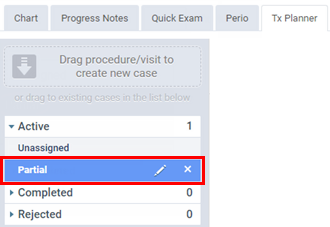 Select the check boxes of all the procedures in the visit that you want to schedule an appointment for, or select the check box at the top of that visit to select all the corresponding procedures. Click (or tap) Create Appointment. This button is available only if all the procedures in a visit are selected. 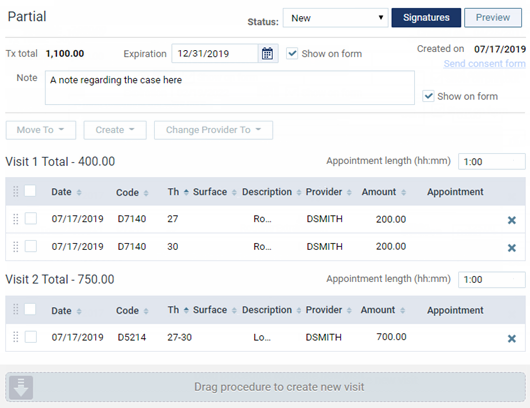 If you can't attach a treatment plan visit to an appointment, you need to check the Treatment Planner, and see if there are any completed procedure in that visit. If there are, you need to move the procedures that are not completed into a new visit, so you can attach that new visit to the appointment.